The Californian city known for its enigmatic art and bewitching culture, Oakland is a blissful combination of fabulous architecture and diverse culture. The month of May is considered to be perfect to visit here as the foggy winters are long gone and summers are yet to hit the surface with the warm temperature. Featuring a wide range of museums, art galleries, restaurants, nightlife and theaters, Oakland makes a nice place to go and enjoy a few days filled with thriving experiences. Additionally, the being overlooked because of the charisma of neighboring city San Francisco, this place will come easy to access and affordable to enjoy. So, if you are planning to explore the West Coast with budget in May, Oakland can be a wise choice for you. The small and reputed resort town of the East Coast, known for its fabulous nightlife, glittering cityscape and tranquilizing culture, Ocean City is truly a hidden gem in the state of Maryland. With a number of famous theme parks, fantastic coastline and awesome nightlife, this place has become a hot favorite place to explore. Thanks to all of these features, the city remains flocked throughout the year by tourists and people love traveling here every now and then. However, since the winters are no longer troubling and the peak season of summer is about to hit, the month of May is wide open for Ocean City and you can easily get your stays and flights without spending a good fortune, provided you book well in advance. A promising conurbation of the North Carolina, ideally famous for its mountain backdrops, wonderful art, thriving culture and fascinating historic architecture, Asheville is truly a gem that you will love exploring. The wonderful and perfect weather conditions will give you the ample day light and soothing situation to explore the diversity of this scenic city and offer you much more than just quality memories. The downtown of the city is really vibrant and featured with ample of galleries and museums that will prove to be perfect for your next getaway. Additionally, being a less popular destination during this time of the year, Asheville will come handy for you and give away a budget getaway experience. If you are looking for a perfect destination to explore in the month of May, then there is no chance you can miss taking the beautiful Yellowstone into consideration. The engaging natural beauty that is spanned in hundreds of acres, Yellowstone is truly a majestic place to explore. With its divine variety of landscapes covering from mountains to geysers, waterfalls, plains, dense wilderness, natural trails and so much more, this place can be the best May getaway destination you may ever come across in the region. Though, the fame of Yellowstone may give you a hard time to get your bookings done, but if you are zealous enough and try booking your itinerary well in advance, you can easily save a good fortune on your next getaway to Yellowstone. Last but certainly not the least, the national capital Washington is among the most promising places in the entire United States if you are considering something besides the weather conditions. The spectacular variety of museums, galleries and wonderful pieces of architecture will be sufficient to keep you on your toes. However, if you are looking for a bit more, then you will find the parks and boulevards really refreshing and engaging. Needless to say, the federal holidays, events and festivals in the month of May will be the best reason to choose the national capital for your next getaway. USA is the home to a massive number of places that are just amazing to explore based on the time, your interest and events going around. The above-mentioned list is just a glimpse of what you can explore if you step out of the house and become a traveler and what are you missing if you don’t. So, stop sitting home this May and become a traveler to discover the utmost beauty of the spring season whilst making your upcoming days more enjoyable and easy to face. 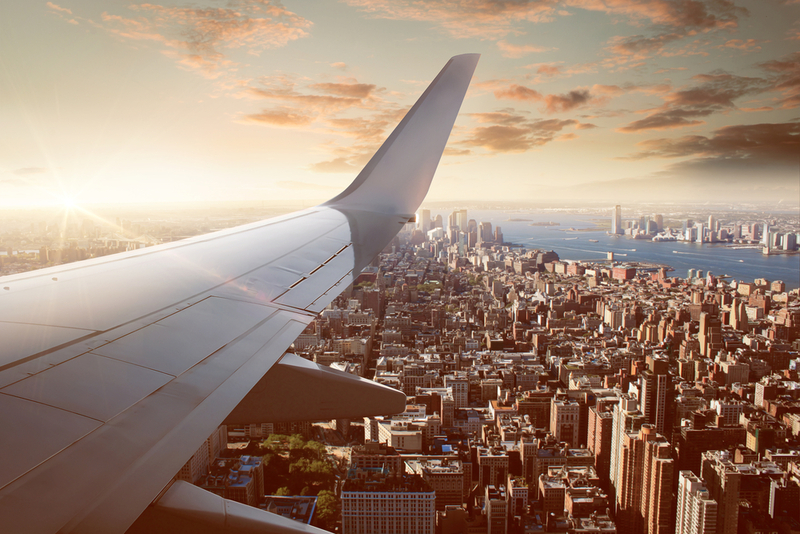 Needless to say, SmartFares is always at your service with its awesome range of affordable domestic flight deals that cover the most promising and enchanting destinations across the USA. Salt Lake City is literally one of those selected places that can be visited any time of the year and you will remain amazed by the rich diversity and features this city has to offer. However, just like any other destination in the world, there are high and low seasons of Salt Lake City too. if you love to visit this gorgeous city with fewer crowd and better scene, then plan your voyage between March and May and from September till November when the weather is perfect for some outdoor exploration and people head towards beach for some sun, sand and sea. Summers are comparatively hotter in Salt Lake City where as the winters will leave you inside your hotel for a very long time if you love to stroll around more. Salt Lake City is the home of both natural and man-made attractions and if you love exploring the best of both, then you will surely adore this place more than anything. Places like Temple Square, Hogle Zoo, National History Museum, Clark Planetarium, Church History Museum, Beehive House, Public Library, Museum of Contemporary Art and more will be perfect to know the history and culture of this splendid place. However, if you love to explore nature more than anything else, you will find Antelope Island State Park, Red Butte Garden, Sugar House Park, Pony Express Historic Trail, Kings Peak, Millcreek Canyon, Liberty Park and dozens of other places that are really outstanding and will give you some spectacular getaway experience. Salt Lake City is among the most engaging and captivating getaway destinations in the entire United States and if you are seeking something to do in here, then you will surely find a number of things that will keep you engaged for a very long time. Activities like rock-climbing, fishing, boating, hiking, camping and many more activities that can be accessed during the summer season. 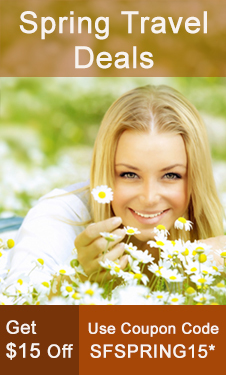 These activities are perfect and suitable for almost everyone who enjoy some thrill and adventure. However, winters introduce a whole different level of thrill and adventure with its thriving skiing resorts that remain wide open in the winters and offer some of the most spellbinding skiing and snow sport experiences to the tourists. Salt Lake City is one of the most incredible and rich cities of the State of Utah in terms of infrastructure and if you have this habit of shopping while traveling, then Salt Lake City will suit to you at the best. The wide shopping areas at the Main Street, City Creek Center and Trolley Square are the highlight for the tourists for some quality shopping. If you love eating while traveling, then don’t forget to try the fry sauce that is known to be the most famous cuisine of the state of Utah. The dish comprises a mixture of ketchups, sauces and many more things that are perfectly served with French fries. The nightlife of Salt Lake City is just like any other metropolitan city of the United States where you can easily grab your drink and enjoy the grooving music with the people you love the most. 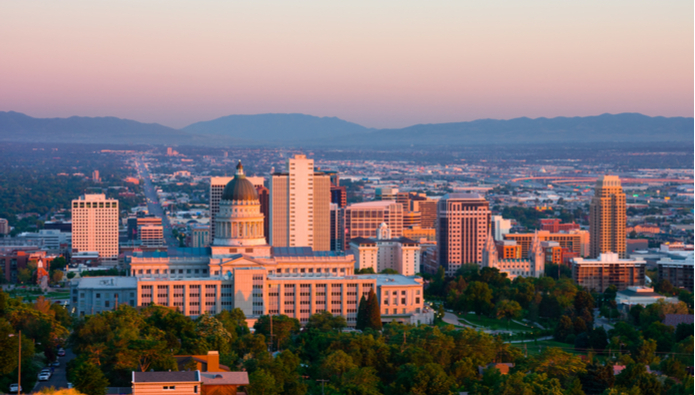 Salt Lake City is nothing less than any major city in the United States and if you are visiting here, then you surely will enjoy strolling around the city. However, knowing some information about the local transportation will be better for you as you can easily get the trains, buses, bicycles and rental cars that can easily be driven in the simplified grid system. Salt Lake City has its own international airport that is connected with all the major international and domestic destinations. However, if you are visiting here by road, then you can easily connect with the city through buses, cars and other modes of local transportation. Salt Lake City is a perfect combination of scenic natural terrains and extraordinary lifestyle that has given millions of tourists a spellbinding getaway experience. From tempting Gothic architectures to the fantastic array of natural landscapes, the diversity of Salt Lake City is simply spellbinding. So, if you are ready to be amazed by the remarkable charm and fascinating beauty of Utah, then book your domestic flight deals with SmartFares today and get ready to be amazed by the rich beauty and charming factors of this bewitching conurbation of the Utah with a thriving trip to the Salt Lake City. 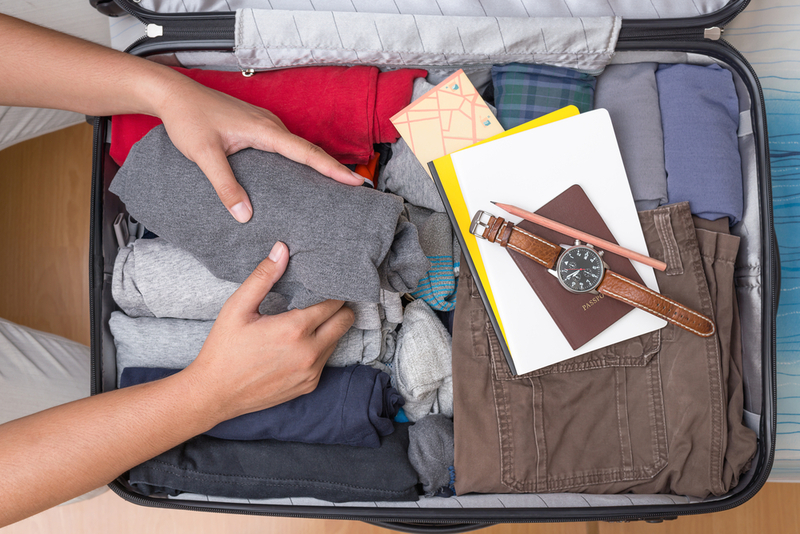 Before you begin to pack, always make a list of what you will be needing during your travel. Making a list will help you remember everything you are going to need and it will also reduce the chances of missing out something really important. However, most of the times whenever we pack, we pack a lot and regret afterwards. Hence, it is also necessary to refine your list by keeping in mind the real needs of these things. Packing your suits and few pairs of shoes are not necessary unless you are planning on visiting a ball-room dance party at a beach destination. So, make a list and be wise by yourself to ensure you pack everything that is needed. Rolling the clothes are always helpful while packing as it is the best way where you can save a lot of space and also utilize the dead space in your suitcase. Rolling tees and denims are the best things as it helps you to keep your clothes wrinkle-free as well as easy to access without piling stuff in your suitcase. Roll your socks an undergarments and keep them in your shoes for to utilize the space that is not even visible when you look at your suitcase. Additionally, it is handy to take out the stuff when you need and avoid you to keep on folding things every time you take out something from your travel bags. Most of the times, while traveling to a highly humid destination or at the beaches, we often find our clothes not as fresh as they should be. Maybe it is because of the moisture or the way we use our bags to take out our clothes. Either way, it is important for all of us to keep our clothes fresh to avoid laundry and rewashing them over and over again for no reason. Hence, you will find the fabric conditioning sheets and scented liners handy as they are meant to keep your suitcase odor-free and fresh all the times. Additionally, it will help you save some space that can be occupied by those big cylinders of air. Zip-locks are the most efficient and helpful things while traveling to both domestic and international destinations. People who are traveling for both sort and long duration, you can easily find these zip-locks usable as they help you to keep your stuff spill-proof and dry all the time. For electronic appliances and gadgets, these zip-locks are the best to keep their lifelong as well avoid any damage due to moisture. Additionally, the zip-locks help these stuff arranged and hard to loss. So, if you are carrying small thing that can either get spilled or have the sensitivity against the moisture. The biggest thing that can cost you a fortune if you are not aware of the packing tips is that you will be paying a good fortune to the airline for packing too much. Since you are running late or on time for your flight and you simply can’t go home to leave stuff that can’t be carried, it is important to keep an eye on the weight of your overall luggage. We all know that airlines are not so generous whilst giving the luggage allowance on domestic flights as compared to international flights, hence we have to pay a lot for carrying the stuff to the airline. Hence, it is always important to keep your luggage on scale or keep checking the weight of your luggage before leaving for the airport. Most of us rarely consider domestic travel as serious as international as we are in the same country and most of the times, we think that everything will be worked out easily. However, there are certain things that need to be taken into consideration before we leave the home even if the trip is for the city next to you. So, if you are thinking to make your next leisure or business trip enjoyable and hassle-free, then you should probably consider going through the essential packing travel tips. Also, you can make your travel even more enjoyable and budget-friendly by considering SmartFares for flight booking and save huge on your upcoming travels. Utah is among the most prominent and most anticipated getaway states in the USA for winter sun and if you too have been thinking to be a part of this cliché yet extremely gorgeous destination this winter season, you shall consider yourself lucky, as Park City is always here for your convenience. The charming conurbation of Park City is truly a mesmerizing place for a vacation in the winter season and is featured with loads of picturesque attributes. 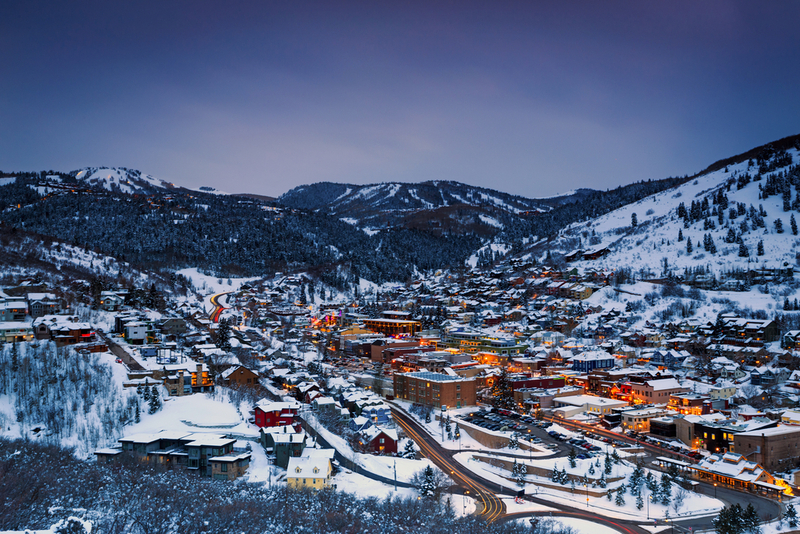 Park City is quite renowned for some skiing and enjoying many more outstanding winter sports available in the city. So, if you are ready to spend some extra on the adventures, then Park City is the best option for you. 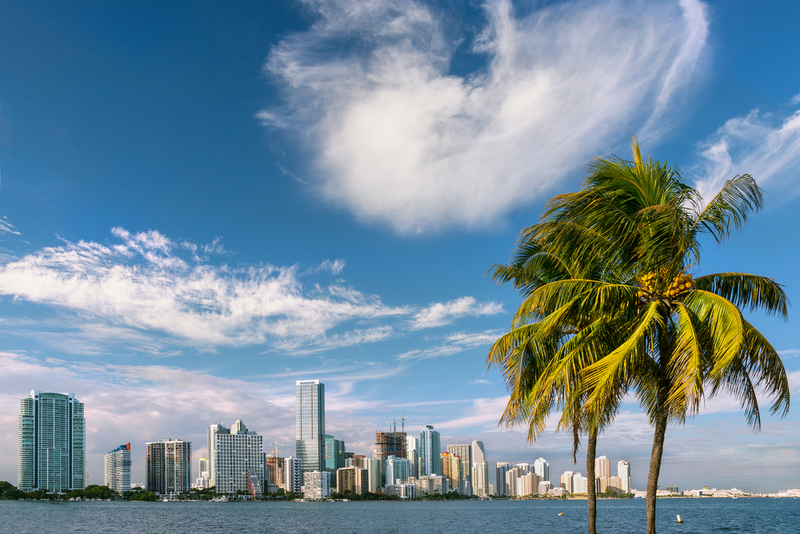 For those who like to soak up some sun this winter season and looking for a much delightful and enjoyable destination on the coastal area, then what could be more delightful than the magnificent Miami? The enthralling beach destination of the Florida, Miami is a complete package of fun, laid-back and adventurous vacations at a budget price. The seamless range of attractions and features such as sandy beaches, beach sports, adventurous activities and so on are just the glimpse of what you can enjoy during a winter vacation in Miami. The thriving sandy beaches of Miami are the key essence for everyone looking for something a little bit extra than just a sunny day and warm weather. There is no doubt that when it comes to Las Vegas, everything is exquisite and enjoyable. However, many people think that no matter when you plan your holiday for Las Vegas, it will cost you a good fortune. However, those who are unaware of the fact that the city is quite enjoyable post New Year celebration shall think and check their facts again as you can save huge on hotel stays and other activities once the festive season and New Year celebration has passed. Not only the beautiful sunny days of Las Vegas will be joyful for you, but the exquisite variety of spellbinding activities available afterwards is the real essence for a beautiful and perfect vacation. Yellowstone National Park is probably one of the selected places in the entire United States that can be visited anytime of the year and can give you much cheaper, enjoyable and captivating getaway experience. 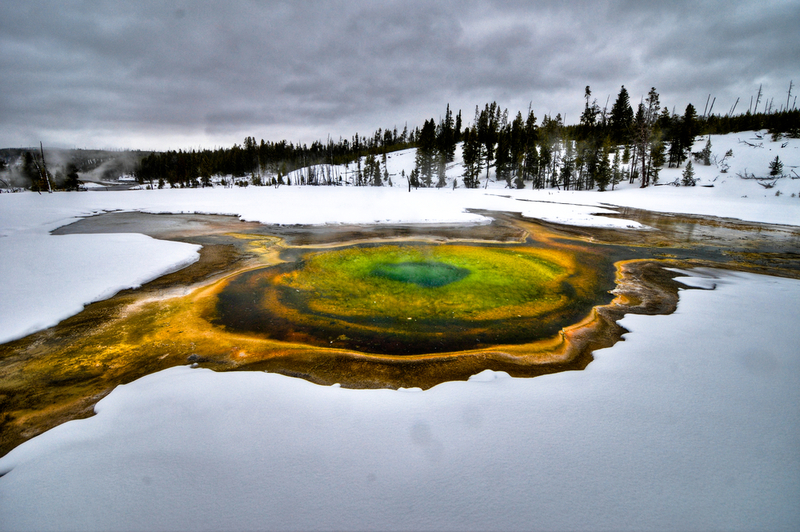 The enthralling variety of natural landscapes and marvelous range of spellbinding attributes such as geysers, hot water springs, snowcapped areas and more are the essence of a happening trip in Yellowstone. Besides, when most of the people are heading towards south, visiting here in the winter season will be a treat for everyone with less people and affordable prices. For those who like to have their winter vacations quite luxurious as well as affordable can find their way to Honolulu a superlative delight. 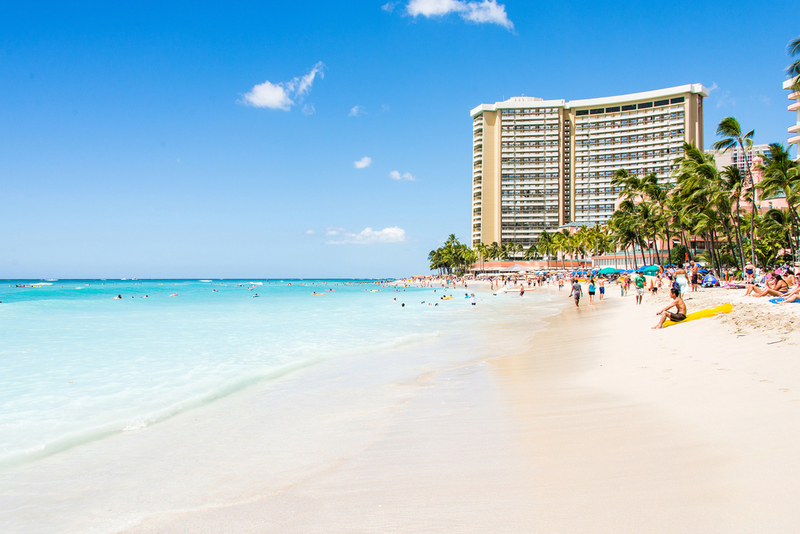 The enthralling capital of Hawaii is among the most desired and visited destinations in the entire United States and is featured with much more than gorgeous resorts, outstanding natural bliss and lots of spellbinding attributes. Go for sailing, swimming, surfing, fishing or any other activity at the calm and beautiful ocean during the winter season and feel the freshness of the winters with cold breeze brushing against your cheeks at your sail. 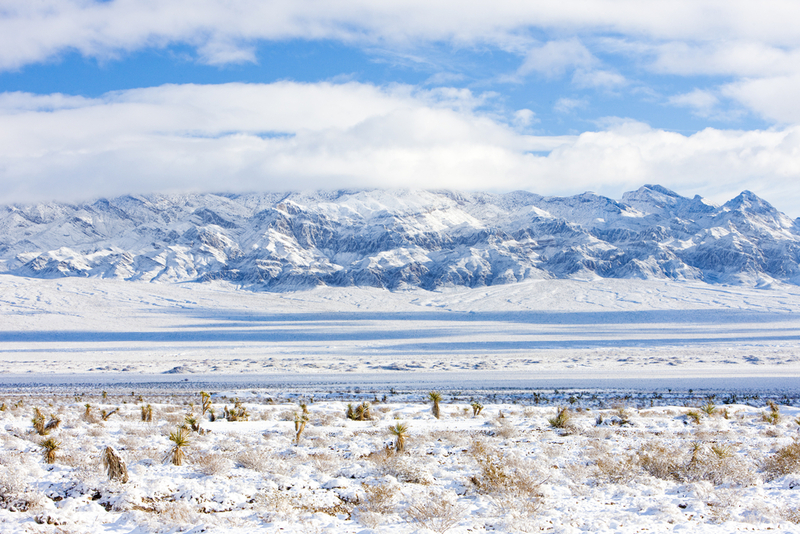 American region is filled with many places that are stunning and enjoyable for everyone when it comes to the winter season. Most of us think that planning a trip during the winter season will cost you a fortune, but if you have been planning smartly and picking up the right dates, you can lay your hands on some of the most affordable deals of all time. All you need is to pick up your travel dates, chose a destination wisely and book domestic flight tickets from SmartFares at the earliest to enjoy some amazing deals and offers available online for a happening and affordable trip.